A brand spanking new pencil case bulging with shiny new stationery bits and bobs excites the creative mind. We’ve gathered a handful of stellar stationery finds to help make learning fun – jump on through to see! Here’s the ultimate school kit from Stuck On You. 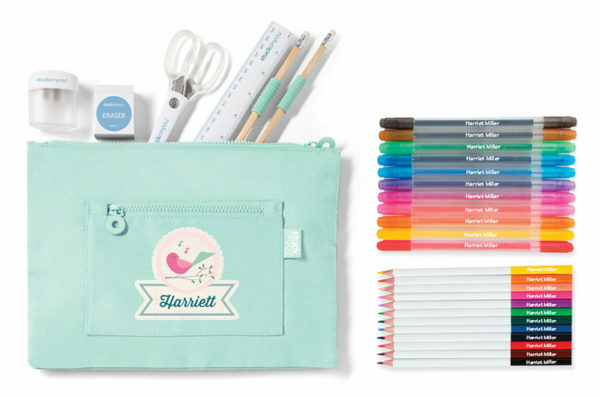 This handy kit is brimming with all the stationery you need to get the school year under way. It includes a (non-personalised) multi purpose wallet and a personalised range of awesome school supplies including a set of coloured pencils, felt tip markers, scissors, a ruler, two lead pencils with handy grips, eraser (not personalised) and a pencil sharpener. The kit also includes a personalised bag tag that will match your chosen design, making finding your child’s bag in a classroom line up a cinch. Priced $49.95, you can order it directly from Stuck On You. 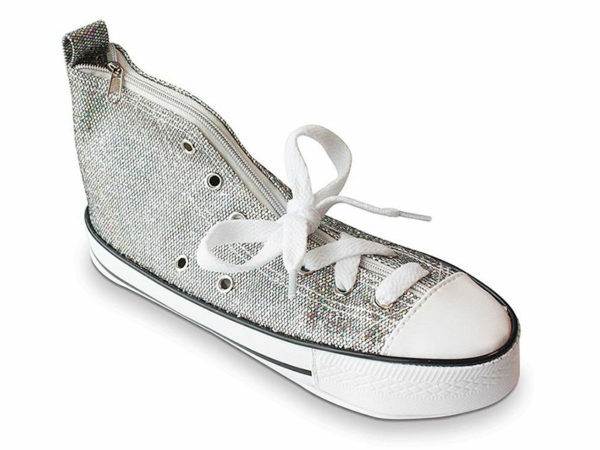 Not your traditional pencil case, this Glitter Shoe Pencil Case is destined to be one of the coolest kicks in the classroom! Available in silver or pink, you can find it at Lark, priced $11.95. Sticky notes are perfect for making notes in a diary, remembering homework items and generally just being cute. 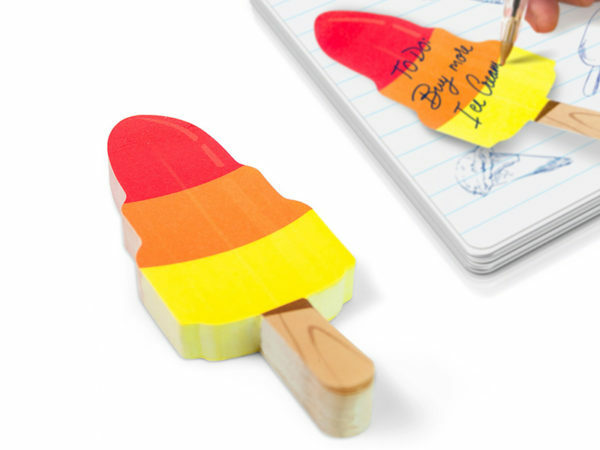 These are the Sweet Ice Cream Rocket Sticky Notes, and they’re $9.95 from Little Paper Lane. 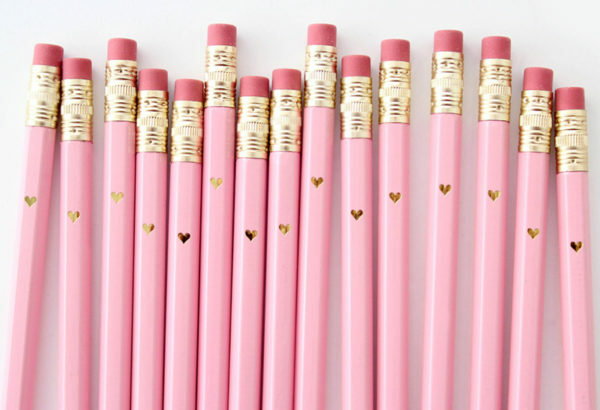 Encourage kids to put all their heart into their school work with these pink and gold foil heart lead pencils! Find them at Inklings Paperie, $2.80 each. 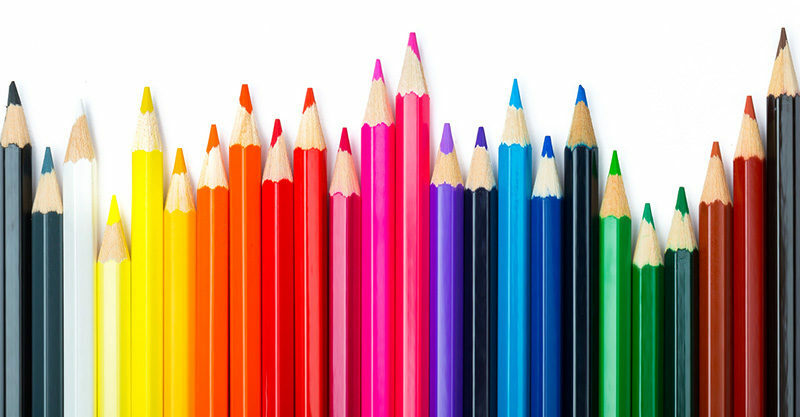 Keep pencils sharp as a tack with a fun novelty sharpener to call your own. 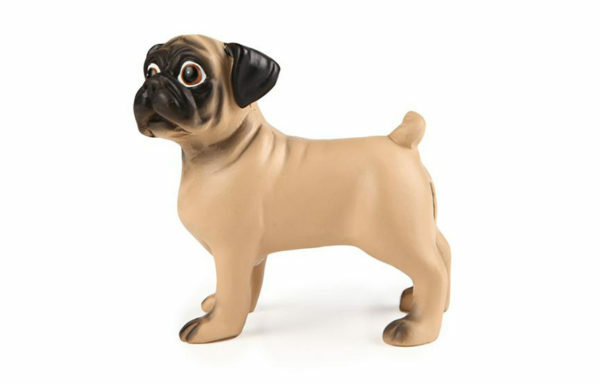 Resin Pug Sharpener, $6.99 from Typo. 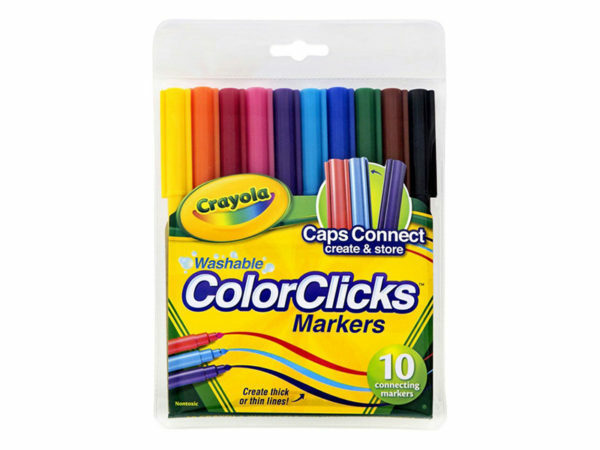 Sigh a sigh of relief parents, white school shirts are safe a little longer with Crayola’s Washable ColourClicks Markers. Go forth and colour in kids! They’re $5 for a pack of 10 from Big W.
Not just for adults, Kikki-K houses a great kids’ collection too! 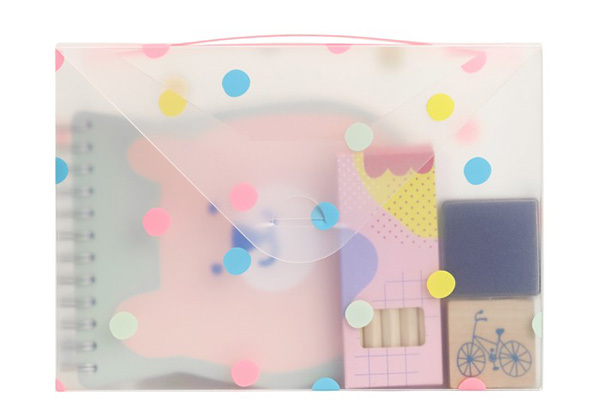 This sweet back to school pack, the Cute Stationery Case, contains a notepad, stamp, ink pad, stickers and mini coloured pencils. Too cute! Priced $24.95 from Kikki-K.
Rule the classroom with fun in 2017 with Typo’s range of $3 novelty rulers. From crayfish to doughnuts, there’s a ruler to tickle everyone’s funny bone! Target come to the rescue with fantastic value for money pencils. 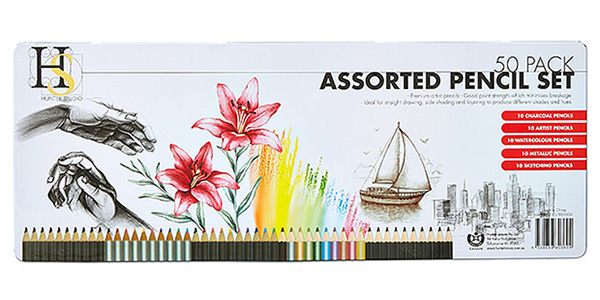 The Hunter 50 Pack Assorted Pencil Set contains 50 coloured pencils (that’s every shade of the rainbow), and will set you back just $10. Roar into the new year with dinosaur erasers tucked away in your kit. 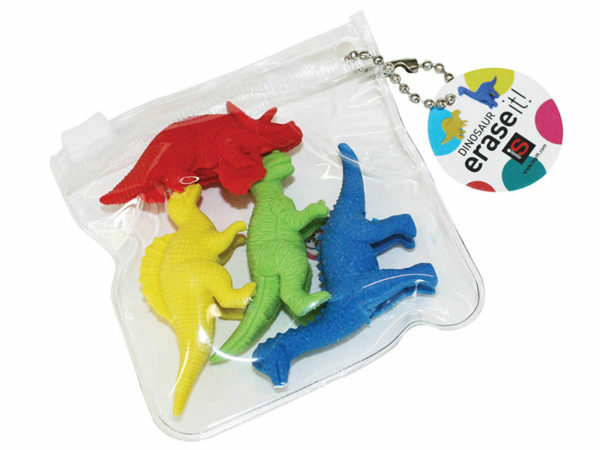 This pack of four brightly coloured dinosaur Erase-It erasers is $4.99 from Kidstuff.